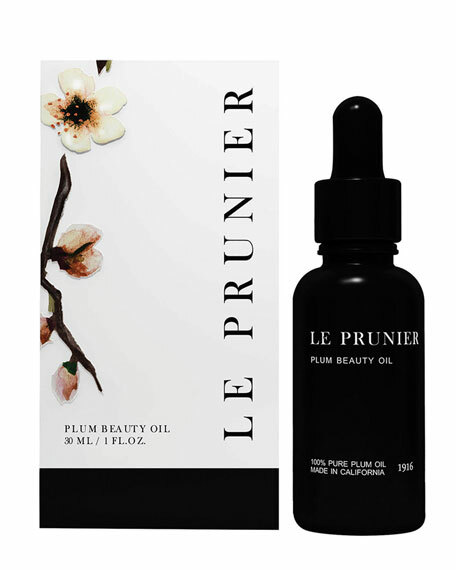 Le Prunier Plum Beauty Oil is a breakthrough antiaging, multi-purpose oil that balances, restores and refreshes the skin. Our proprietary blend of plum varietals is naturally abundant in essential antioxidants, nourishing omega fatty acids and powerful polyphenols, all of which help protect the skin from damaging free radicals. It's also rich in vitamins A and E to assist with healing and hydration. 6x more powerful than Marula Oil and 8x more powerful than Argan Oil at defending against hydroxyl radicals. 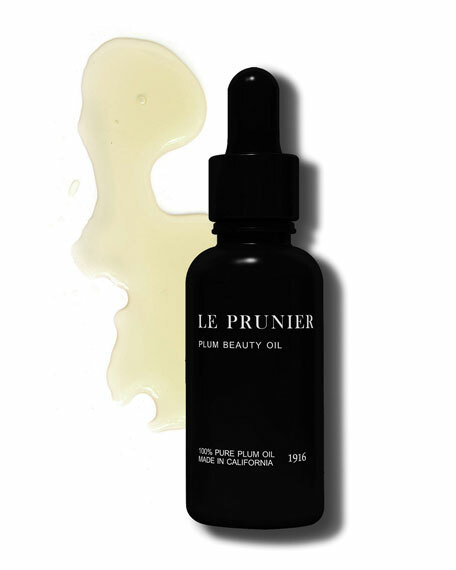 Plum Beauty Oil is grown, harvested and cold-pressed on our 100-year-old organic family farm in Sutter County, CA. Clinically Approved, Dermatologist Tested, and Hypoallergenic Tested. Safe for all skin typeseven sensitive skin with Eczema. Non-comedogenic. Will not block pores. USDA and CCOF Certified Organic, PETA Certified (Vegan and Cruelty Free). Plum Beauty Oil locks in moisture for a soft, youthful radiance, making it the perfect antioxidant booster for glowing skin, hair and nails. Plum Beauty Oil fortifies the surface of the skin, protecting it from harmful toxins while hydrating, calming and soothing skin. Morning and night, apply a few drops to clean skin, hair or nails. Additionally, mix a drop with your favorite face cream, foundation or body lotion to enhance its benefits.